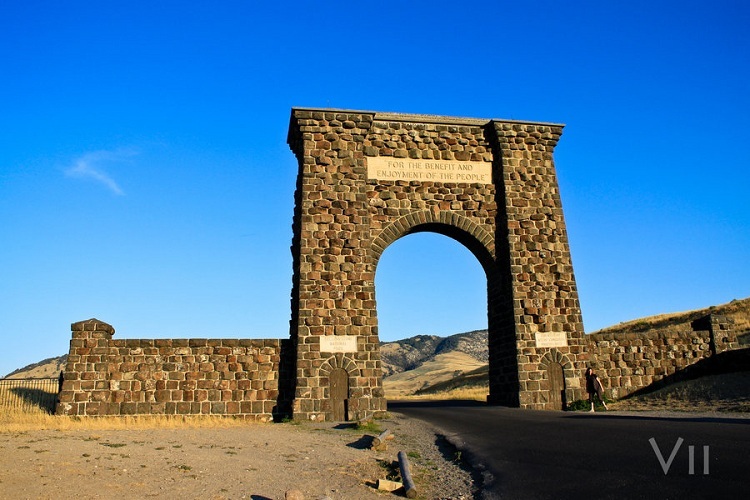 Yellowstone North Wallpaper actually portrays the Stone Gate of Yellowstone North. Bright Blue Sky and Natural Yellow combination will make your desktop bright. The Photo of Yellowstone North Wallpaper is taken by dream-vii. License : Some rights reserved. This work is licensed under a Creative Commons Attribution-No Derivative Works 3.0 License. This Article Has Been Shared 2090 Times! Graphic Inhabitants Wallpaper is an excellent quality digitally rendered wallpaper of for Windows PC and Apple Mac and includes various resolutions. Maple leaves Silhouette Wallpaper is an excellent quality minimalistic desktop wallpaper of a bunch of maple leaves against a beautiful background. 3D Boxes Wallpaper has a fascinating name – Night in the City. Its a dark dreamland digitally created, made up of cubes. Spilled Coffee Wallpaper is an excellent quality digitally rendered 3D wallpaper of realistic metallic coffee cups, spoons and spilled effect. Cite this article as: Abhishek Ghosh, "Yellowstone North – A Bright Landscape For Your Desktop," in The Customize Windows, October 27, 2011, April 18, 2019, https://thecustomizewindows.com/2011/10/yellowstone-north-a-bright-landscape-for-your-desktop/.